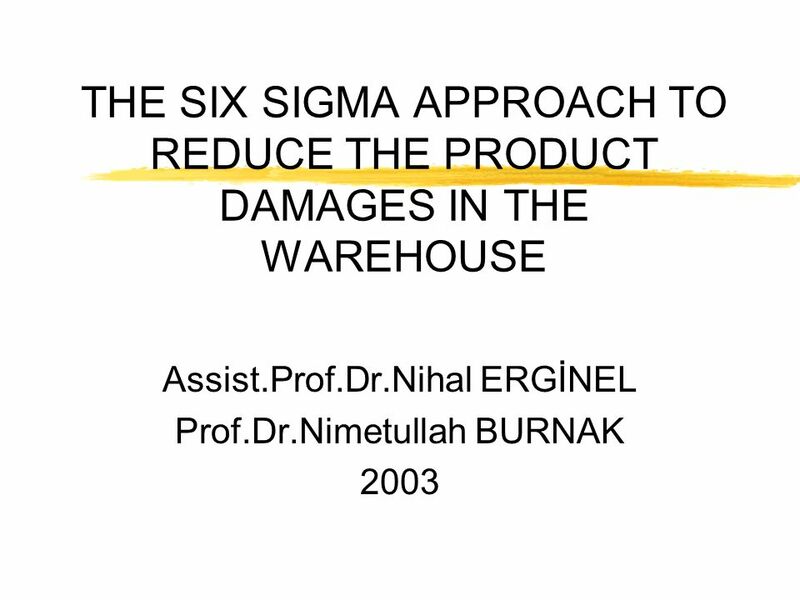 THE SIX SIGMA APPROACH TO REDUCE THE PRODUCT DAMAGES IN THE WAREHOUSE Assist.Prof.Dr.Nihal ERGİNEL Prof.Dr.Nimetullah BURNAK 2003. 2 Introduction zThe most common complaint of end customers about the defects is the product damages. zThis damage can occur to the warehouse in which the products are packaged, stored, and shipped. 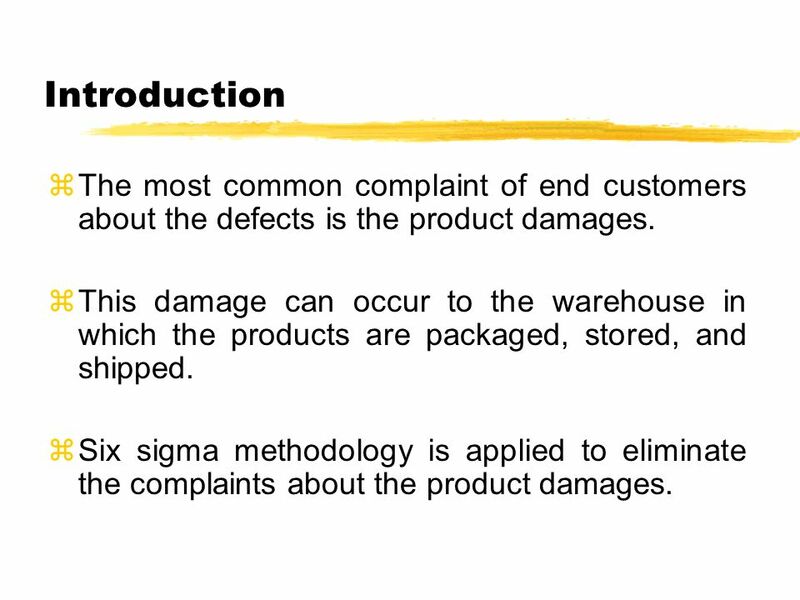 zSix sigma methodology is applied to eliminate the complaints about the product damages. 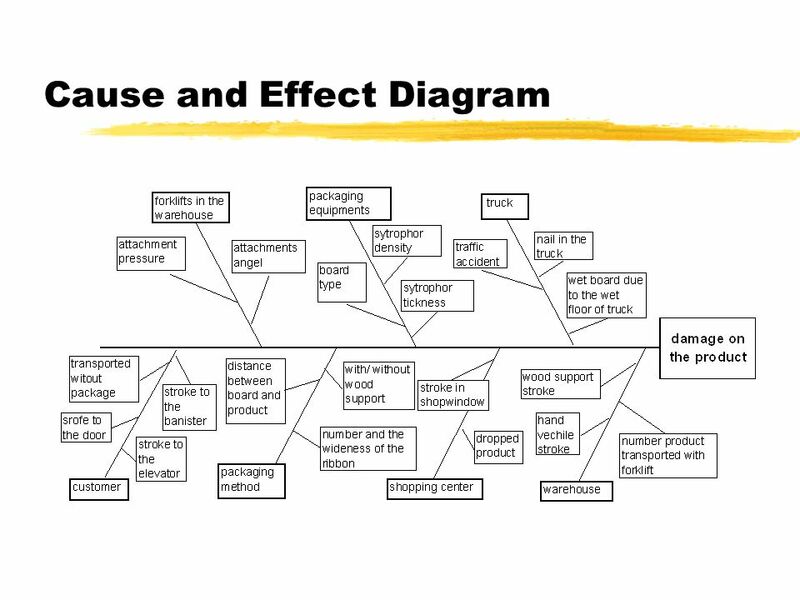 3 Steps zWe set process map, and cause – effect diagram to find the effective factors. 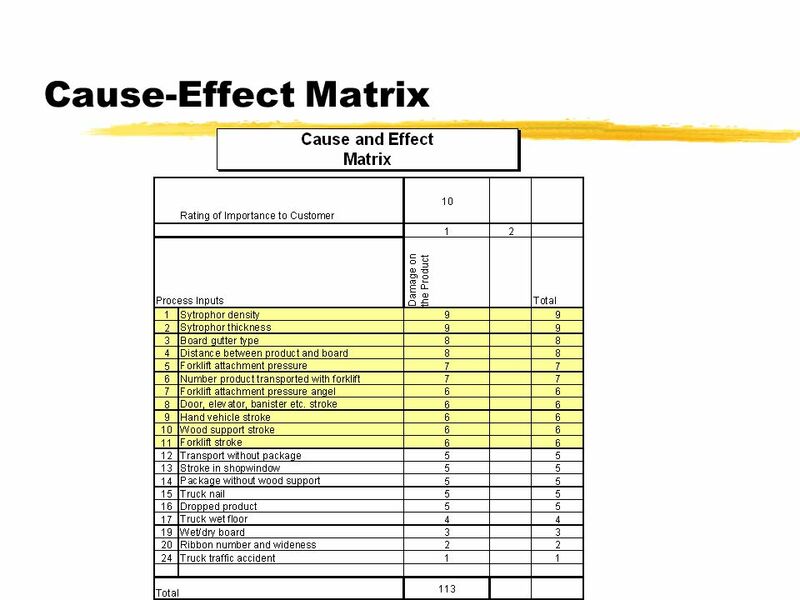 zTheir priorities are assigned via Chi-Square test and cause – effect matrix. zIt is decided that the product damages can occur in any one of the two phases. 1.The first phase is the packaging for which packaging materials and packaging method are considered. 2.The second phase is the transportation for which handling equipments are analyzed. zDOE is conducted separately for each of the phases, and the results are discussed. 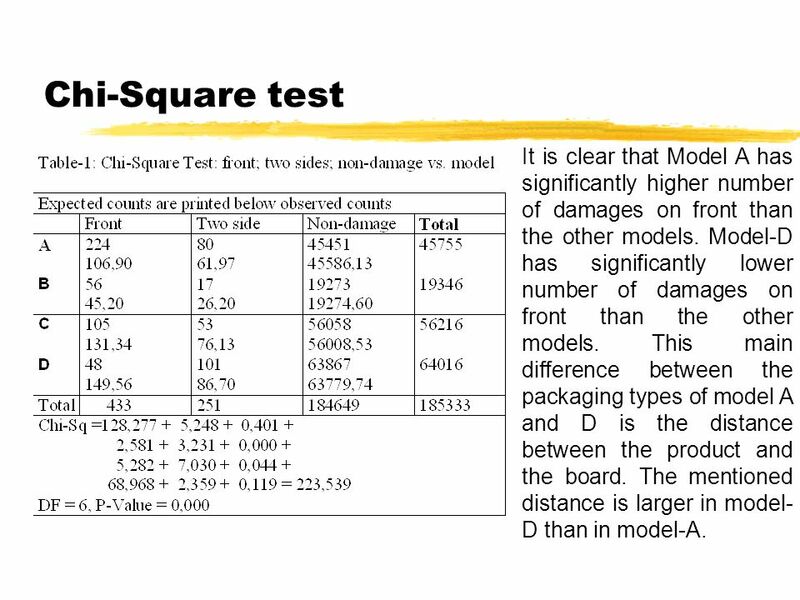 6 Chi-Square test It is clear that Model A has significantly higher number of damages on front than the other models. Model-D has significantly lower number of damages on front than the other models. 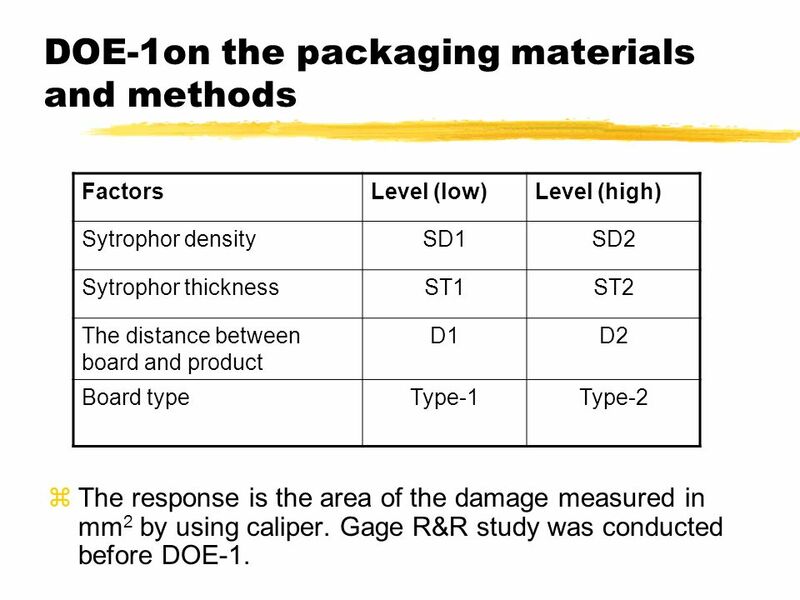 This main difference between the packaging types of model A and D is the distance between the product and the board. The mentioned distance is larger in model- D than in model-A. 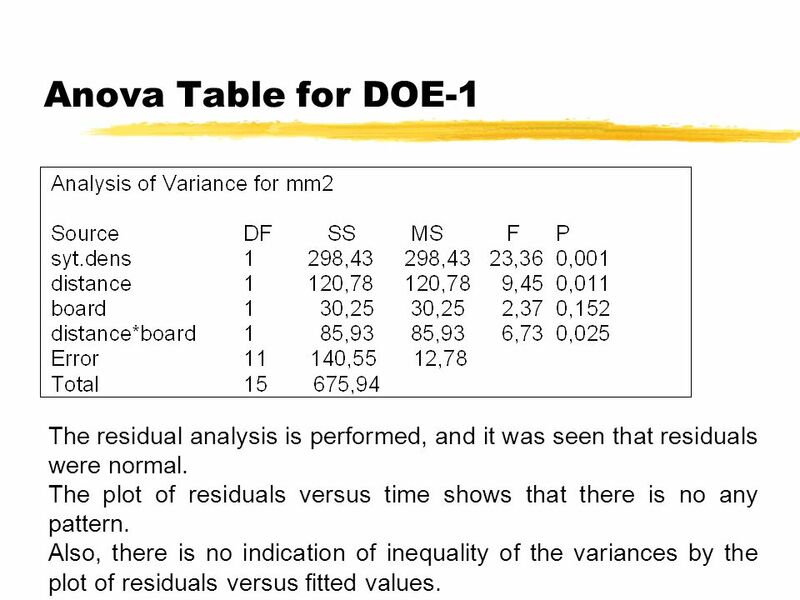 9 Anova Table for DOE-1 The residual analysis is performed, and it was seen that residuals were normal. The plot of residuals versus time shows that there is no any pattern. Also, there is no indication of inequality of the variances by the plot of residuals versus fitted values. 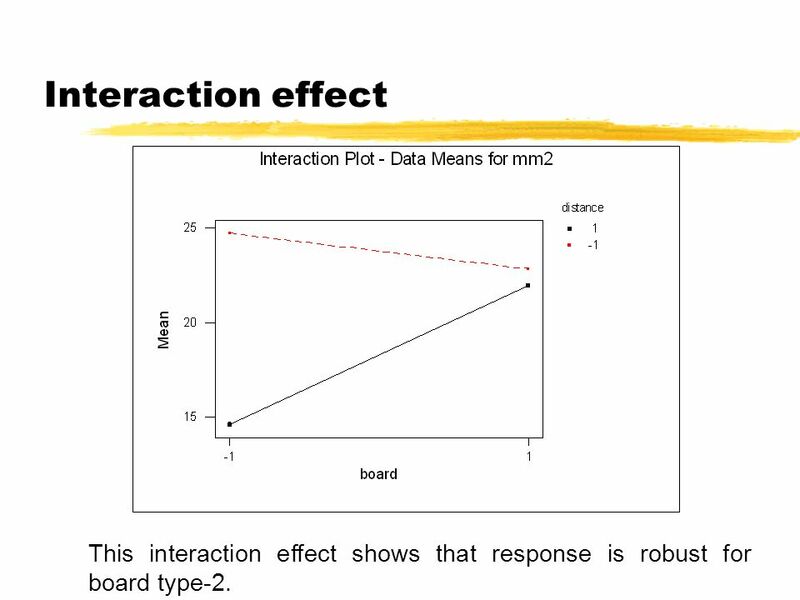 11 Interaction effect This interaction effect shows that response is robust for board type-2. 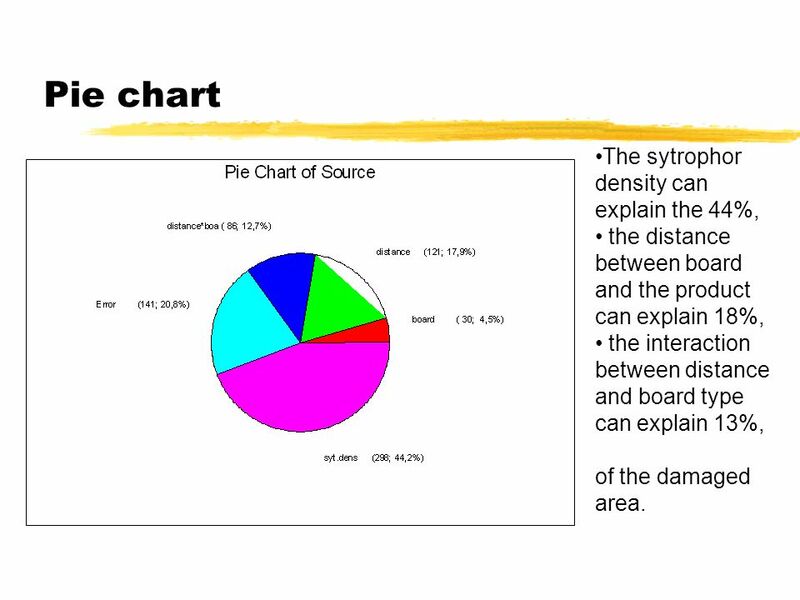 12 Pie chart The sytrophor density can explain the 44%, the distance between board and the product can explain 18%, the interaction between distance and board type can explain 13%, of the damaged area. 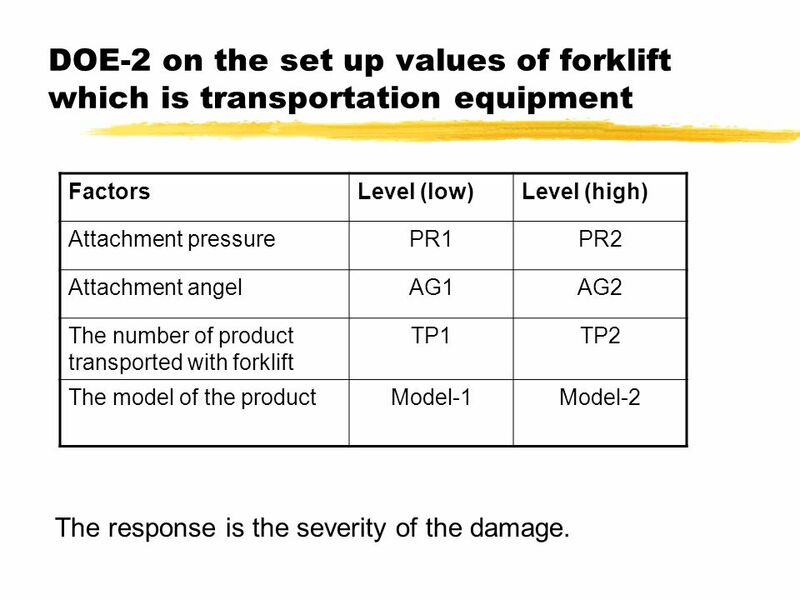 13 DOE-2 on the set up values of forklift which is transportation equipment FactorsLevel (low)Level (high) Attachment pressurePR1PR2 Attachment angelAG1AG2 The number of product transported with forklift TP1TP2 The model of the productModel-1Model-2 The response is the severity of the damage. 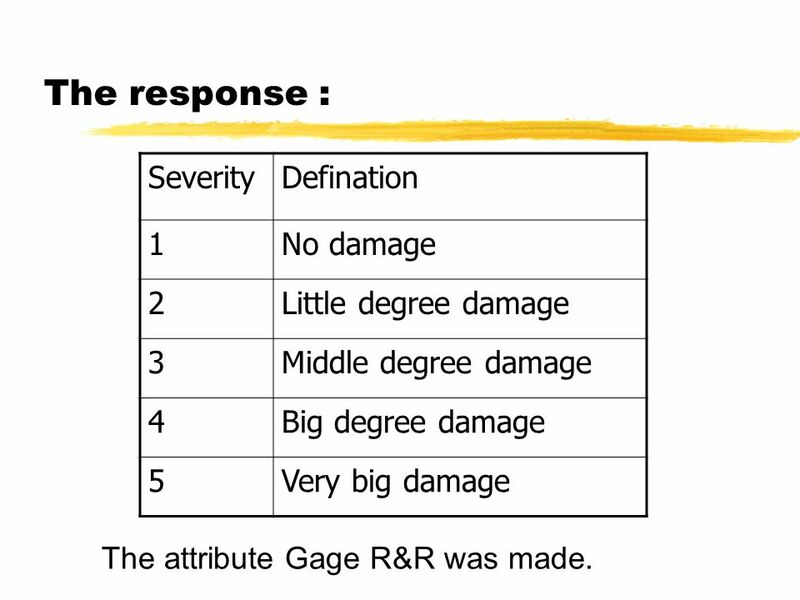 14 The response : SeverityDefination 1No damage 2Little degree damage 3Middle degree damage 4Big degree damage 5Very big damage The attribute Gage R&R was made. 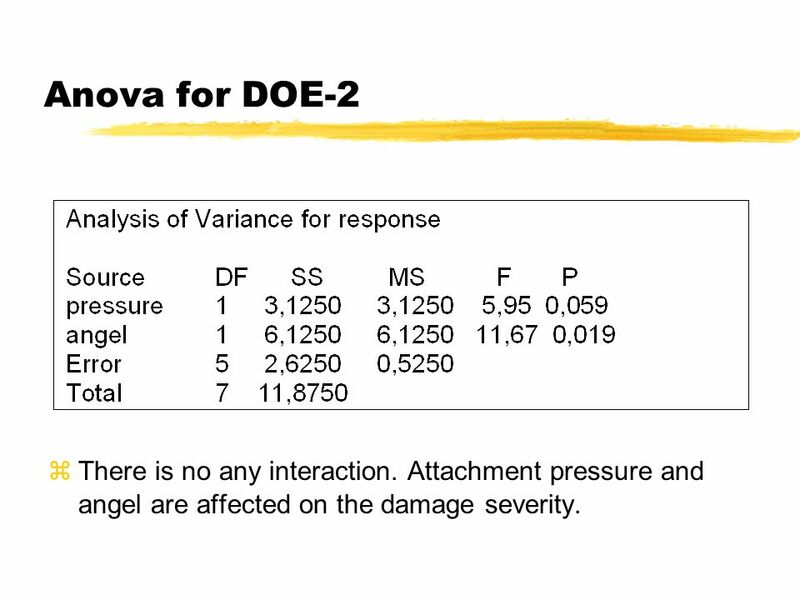 15 Anova for DOE-2 There is no any interaction. 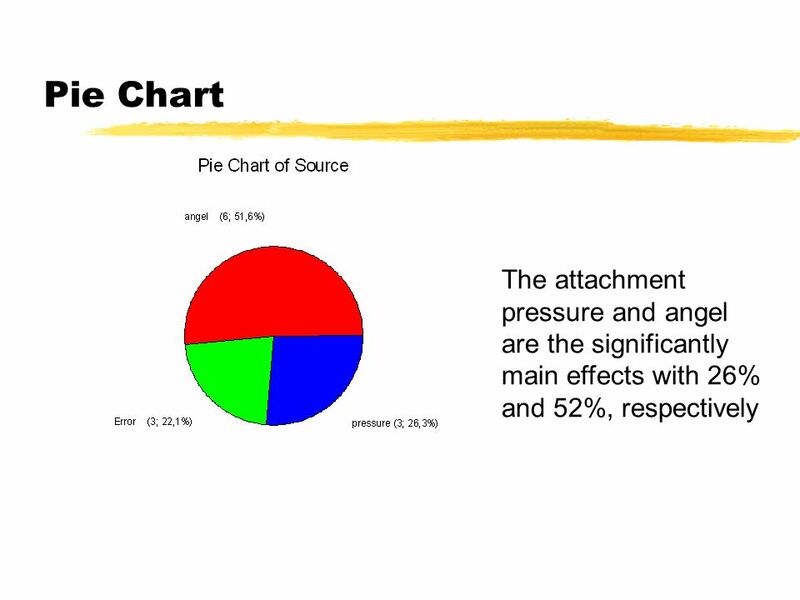 Attachment pressure and angel are affected on the damage severity. 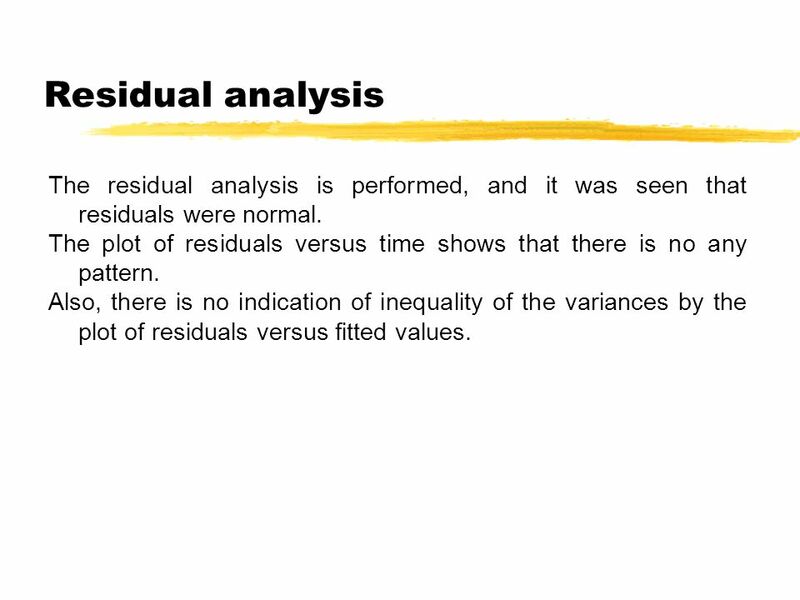 17 Residual analysis The residual analysis is performed, and it was seen that residuals were normal. 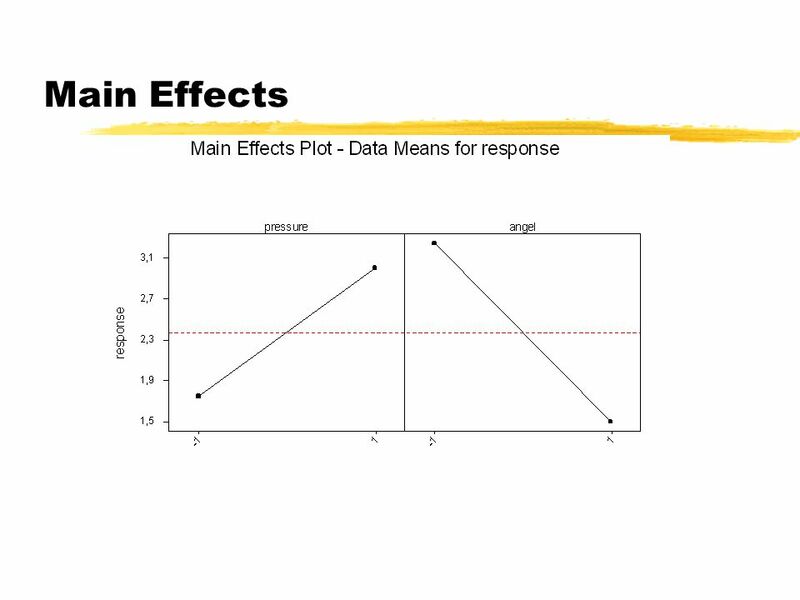 The plot of residuals versus time shows that there is no any pattern. Also, there is no indication of inequality of the variances by the plot of residuals versus fitted values. 19 Results zBy using the results from DOE-1 the packaging method and the material used were redesigned. 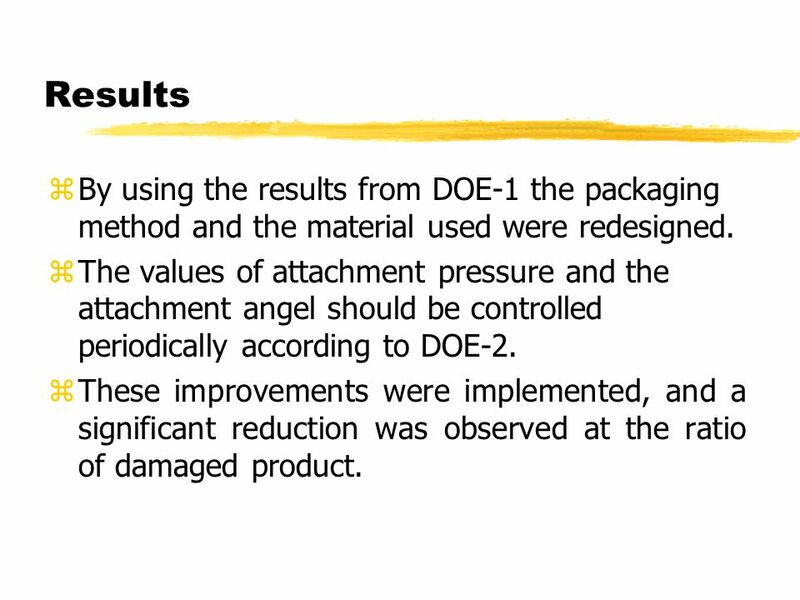 zThe values of attachment pressure and the attachment angel should be controlled periodically according to DOE-2. z These improvements were implemented, and a significant reduction was observed at the ratio of damaged product. 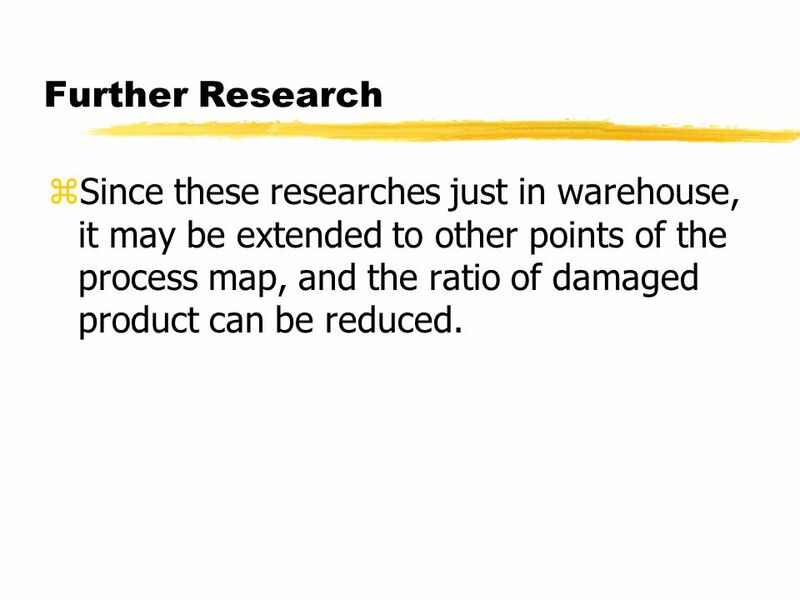 20 Further Research zSince these researches just in warehouse, it may be extended to other points of the process map, and the ratio of damaged product can be reduced. 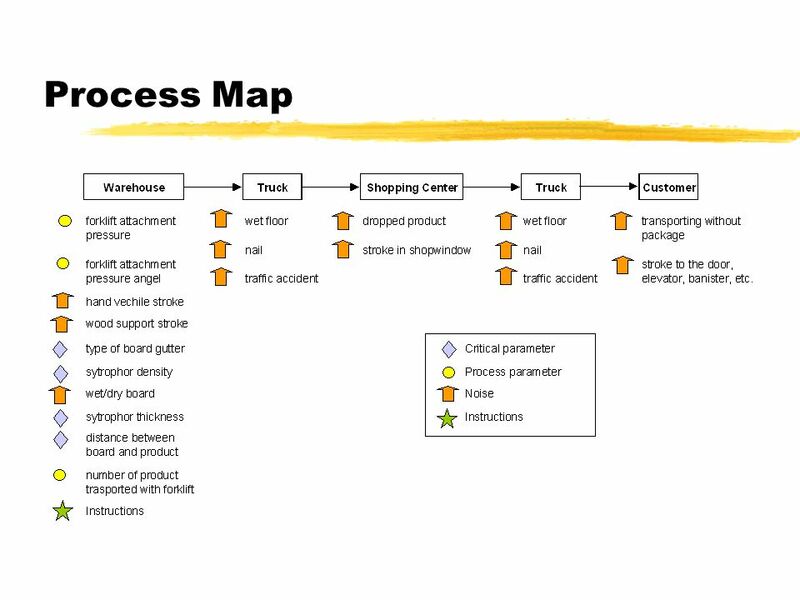 Download ppt "THE SIX SIGMA APPROACH TO REDUCE THE PRODUCT DAMAGES IN THE WAREHOUSE Assist.Prof.Dr.Nihal ERGİNEL Prof.Dr.Nimetullah BURNAK 2003." 1 A gender and helping study with a different outcome. Chapter 4Design & Analysis of Experiments 7E 2009 Montgomery 1 Experiments with Blocking Factors Text Reference, Chapter 4 Blocking and nuisance factors. 1 Chapter 4 Experiments with Blocking Factors The Randomized Complete Block Design Nuisance factor: a design factor that probably has an effect. 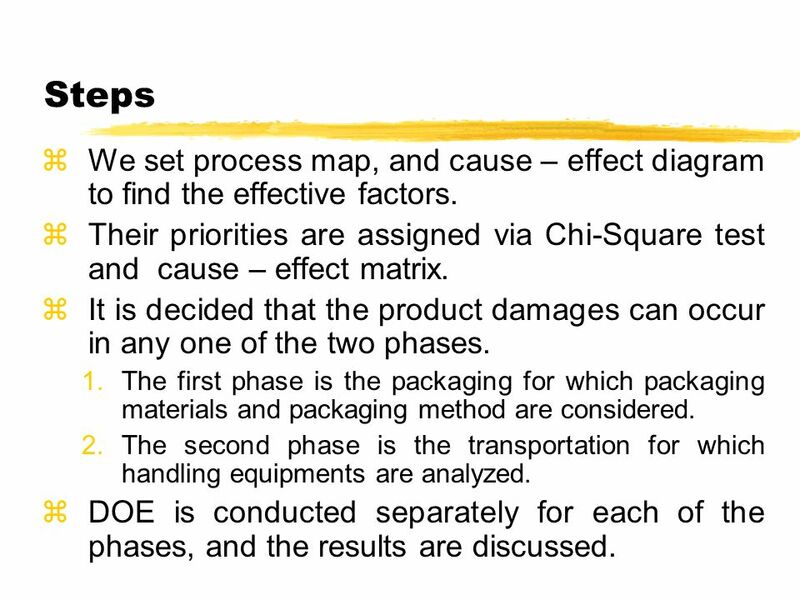 DOX 6E Montgomery1 Design of Engineering Experiments Part 3 – The Blocking Principle Text Reference, Chapter 4 Blocking and nuisance factors The randomized. Presentation Template: Instructor Comments u The following template presents a guideline for preparing a Six Sigma presentation. 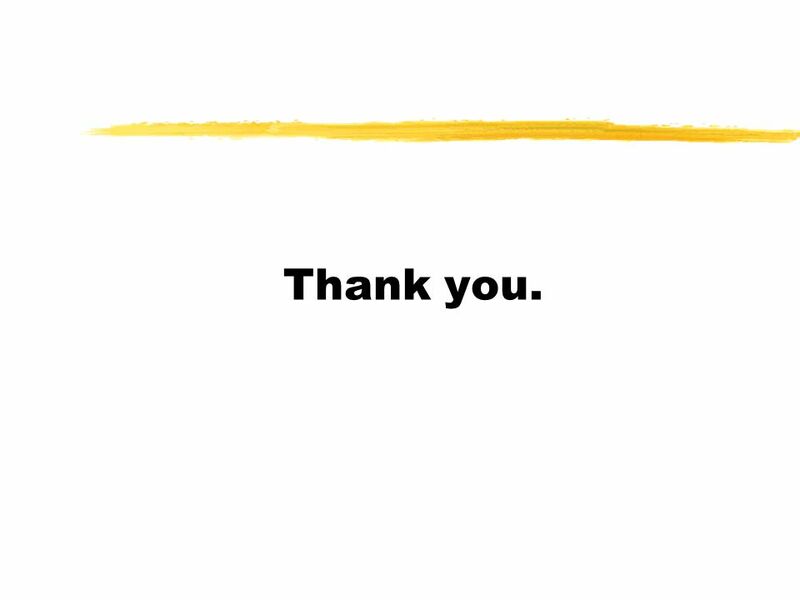 An effective presentation. Regression Analysis Simple Regression. y = mx + b y = a + bx. Introduction to Statistical Quality Control, 4th Edition Chapter 7 Process and Measurement System Capability Analysis. 13–1. 13–2 Chapter Thirteen Copyright © 2014 by The McGraw-Hill Companies, Inc. All rights reserved. McGraw-Hill/Irwin. Conditions of application Assumption checking. 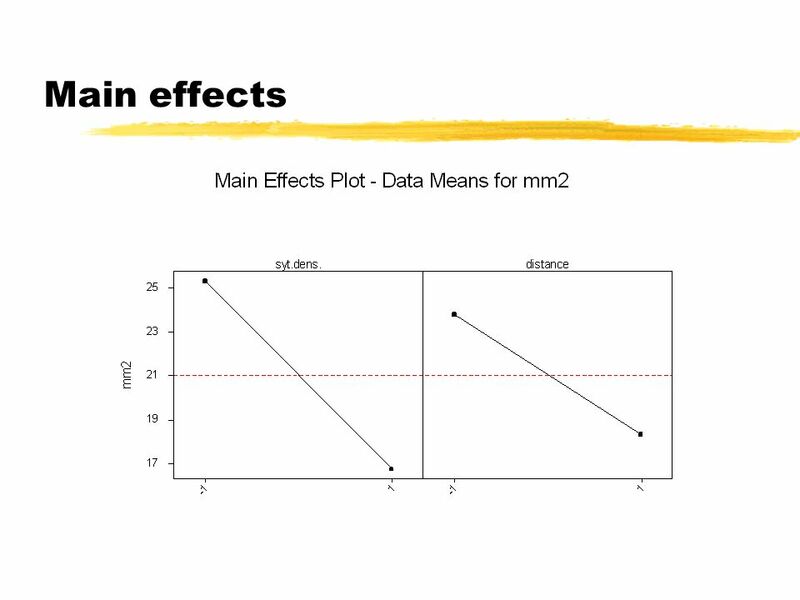 Assumptions for mixed models and RM ANOVA Linearity  The outcome has a linear relationship with all of. One-Way Between Subjects ANOVA. Overview Purpose How is the Variance Analyzed? Assumptions Effect Size. PCB 3043L - General Ecology Data Analysis.